If you've been looking for a classic outfit that's a cinch to pull off, look no further than this easy yet stylish inspiration from Blair Staky of the blog The Fox & She. Simply throw on five key pieces—a black fedora, a camel wrap coat, your favorite knit, a pair of dark skinny jeans, and black loafers—and you're set! Scroll through to see the inspiring photos and how to get the look. 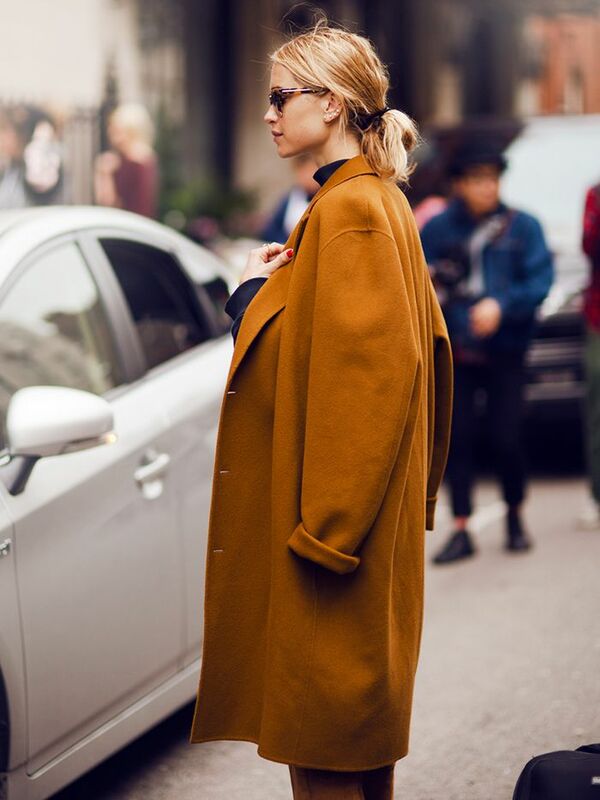 How would you style a camel wrap coat of your own? Tell us in the comments below!